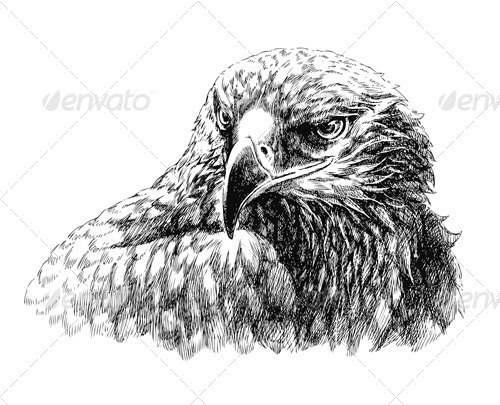 Eagle head line art – black drawing illustration isolated on white background. Originally hand drawn with a digital tablet. 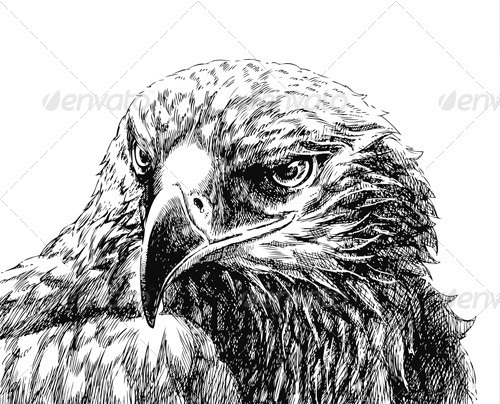 Beautiful wild bird graphic is executed in classic traditional drawing line art style. Cross-hatched art. Powerful proud look. Vector files + high quality .jpgs.